Most of us are familiar with the expression, “Nothing happens until you make something happen.” On the Daily Grind Podcast, one of the questions Colin asks every entrepreneur is – what was one of the biggest challenges they had to overcome to get to where they are today. A majority of these entrepreneurs said it was making the decision to leave their steady job. If you are straddling the fence on whether you should stay working in your 9-5 job or quit to start your own business, here are a few things that these entrepreneurs did. Sabina Hitchen, the founder of SabinaKnows.com, a successful Public Relations agency, said the first step she went through was the questioning phase. She asked herself: “Why am I doing this” and “What has led me to this place.” She was a Political Science graduate and she taught for a few years in the Public School system. She knew she had to make a career change; so she got a job in a PR agency and it was at this point that she found something she really loved. She knew she had to be brave. She visualized where she wanted to be and that outlined her roadmap for success. She then took the plunge. She took the leap of faith. Dan Miller, the author of several books including No More Dreaded Mondays said that he stopped and drew a line in the sand, took a deep breath and then spent some time to really focus on who he was. By looking inward he discovered his passions, dreams, skills, and what he liked to do. The more that you match your skills with the business that you want to open the more likely you will be successful. He also advises that you should read anything you can about the business you want to open, listen to podcasts, and even pay for a coach to teach and mentor you. Hanna Fitz, an international brand strategist and author of I AM THE GATEKEEPER: 101 Daily Keys To Unlock Your Happiness, Overcome Adversity and Fulfill Your Purpose was working in the corporate world and was up for a promotion; but she always had a great desire to start her own business: She struggled making that decision on whether to take that promotion or to follow her dreams. She prepared herself. She took a lot of training courses and she studied international commercial law because she wanted to work with international brands. She then tested the market by sending out proposals. It was only when she got positive feedback from potential clients that she had the confidence to make this move. Let’s take a moment and talk about the “analysis paralysis game” that people face. 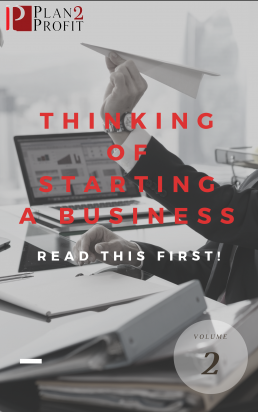 If you are unsure about making this leap into owning your own business; then, “hurry up and slow down”. You want to make sure that you are really ready before jumping into entrepreneurship. To confirm if you are ready, you need to have a great Plan. Remember, in business you have a two choices…either you’re going to operate from a place of power, where you create your life, or, you’re going to operate from a place of fear, where you react to what’s happening to you in your life.